Alanyuppie's LEGO Transformers: Shadow Wing: LEGO 31021 Furry Creatures alternate design + INSTRUCTIONS! So I finally did about few days ago, and boy this MOC here is one of the quickest build ever (2 days) because the parts are simply so accomodating and naturally "flowed" into the MOC I had in mind as I spent my quality time with LEGO. I started with low expectations: Just a non-transformable mech and that's it. This is because I noticed the ball joint offered by the set doesn't seem to be adequate enough. 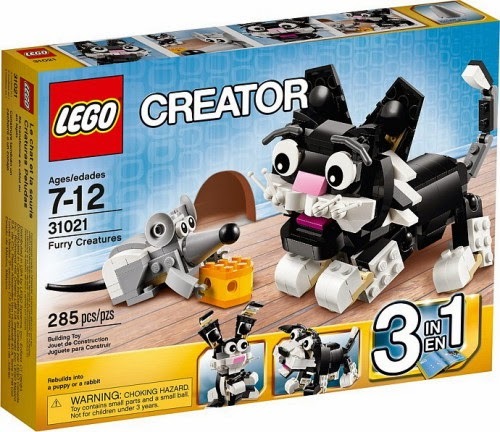 There are 2 of those double-balled joints fitting for the LEGO cat and dog (quadrapedal animals) . Typically my LEGO TF (bipedal) requires one of those for pelvic-joint, and 2 more balljoints for the shoulders. Ah well, time to improvise! As I progresses, the idea of making this MOC transformable came naturally ,as it involves already implemented articulations. Another challenge is making do with all those 1x2 plates from set 31021. They're everywhere (I would've preferred longer plates though) . And finally.... I can't seem to find round 1x1 semitransparent plates usually meant for the eyes . And 99% of the colors from this set are white, grey and black parts, not suitable to be used as robot eyes . Luckily there are 2 special colored part (pink) from the whole lot which makes a good alternative. Articulation-wise, this MOC is a bit rigid compared tp my previous ones. Although there are some technic bricks with holes, but no technic pins around. So I can't make the head rotates. With dual pitch-black tinted cockpits, Shadow Wing is one of the most mysterious character in Transformers universe. 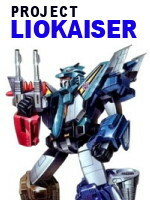 It's unknown whether he's an Autobot or Decepticon. With ambiguous color scheme of black and white, he prefer to be both, depending on his mood. But the rule of thumb is... he's plain evil in jet mode .... with a knack of showing off his firepower towards anything in his in sight, even the 'Cons. In robot mode, due to his design flaw causing his faceplate to turn pink (In human terminology: shyness) .... one can safely presume he's a safe ,kind and endearing bot to be around with. All that is known about him is, he's virtually indestructible . Multiple cannon blast on him will bring down temporarily, but he will always comes back and reconfigured his broken self into one whole again. And when he gets truly angry and mad, he partsform into his beast form, either a cat or a dog. ^ He passed the one-leg-kick test.